Ideal for our corporate clients looking to rent a property on a short-term or long-term basis, this 8 bedroom house in Langley, Slough consists of 8 ensuite double bedrooms with car parking spaces, wide stair cases, mosaic flooring and made to measure cupboards. Available from July 2019. This 8 double bedroom house is full of historic character whilst presenting modern features such as digital TV, smart heating and LED lights. Considered as an essential to most business personnel, the house is also fitted with wireless and wired fibre internet too. The bright and colourful main kitchen is fully equipped and makes a great communal space to socialise after a hard day’s work. The property is just 0.2 miles away from a parade of shops which include numerous takeaways, Costa, banks and convenience stores. There is also a range of restaurants nearby. 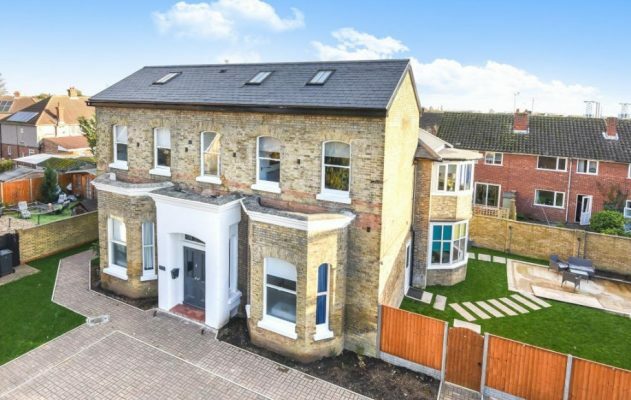 This 19th Century house has come to market at a great time, coinciding with Crossrail’s new Elizabeth line (from December 2019), creating direct train links into Central London. Langley also has great local access to Junction 5 of the M4. Renting this house could be a great money-saving alternative to booking individual hotel rooms over a period of time. Your employees can stay comfortably in this welcoming property when visiting Slough or neighbouring areas such as Windsor and Maidenhead. Click the button below to view the property listing and request a viewing online 24/7 without hesitation. For more information, please contact Chancellors Slough on 01753 511800 or via slough.lettings@chancellors.co.uk. *Travel information taken from Google Maps and Crossrail. Crossrail times effective from December 2019.